Did you know that the average adult checks their email over 100 times a day? It might seem like a lot, but when you consider just how often we have our computers, mobile phones, and tablets around us, you might be surprised it’s not even more than that. As a loan officer, you need to reach out to people where they are. That means targeting some of your advertising based on the way people actually behave—not the way most marketers assume they behave. In short, you need to get in more inboxes. That’s why it’s so important to try email marketing. As a loan officer, your essential service is providing loans. And like any other profession, you have to sell the value of this service. Taking a sales approach means first grabbing the attention of your potential leads. You might wonder how someone who checks their email over 100 times a day is going to give you their attention simply because you sent out an email. But effective email marketing will grab their attention, even if it’s just with a simple subject line. You’ll want to craft a subject line that’s mysterious, a little shocking, personal, or urgent. In essence, you’ll want to grab their attention by thinking about their needs first. This doesn’t just overhaul the way you do marketing—it can change your overall approach to providing the very best service for your clients. With effective email marketing, you’ll learn how to grab attention. This is a vital tool not just for loan officers, but for anyone looking to make a name for themselves. 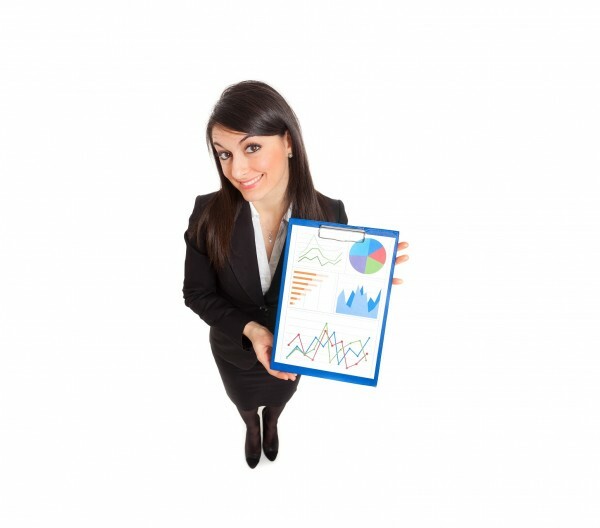 As a loan officer, one of the most important aspects of the business is building and maintaining a high-quality reputation. That’s done a number of ways. Of course it depends on the kinds of services you provide. If you’re friendly and professional, you’ll tend to develop a quality reputation. But you have to do more than just hope for the best. You also have to take an active role in helping people who might not even be using your services yet discover why they might need a loan officer like you in their life. One of the easiest ways to do that? Building an email list. With a high-quality email list, you form a sort of community. It might not seem like it now, but a large email list can help you with promotions, advertisements, and a range of other marketing tools down the line. It’s important to stay focused on your potential clients: how can you add value to their lives? As a loan officer, you know how transformative a loan can be in someone’s life. And you know that there are many people out there who don’t know how beneficial these loans can be. Email marketing is one way you can communicate to people and add this kind of value to their lives. But it doesn’t have to be all about extolling the virtues of loans. You can also use your email list to add value to peoples’ lives even if they don’t become your customers. For example, you might offer tips for finding the right Realtor, or even provide them links to financial calculators that help them determine a personal budget. In short, you have the opportunity to do a lot of good when it comes to email marketing. The better your emails are and the more value they deliver to readers, the better your reputation as a loan officer will be. You take a lot of time and effort to make your website effective and professional. Email marketing is a great way to ensure that people who click to your website sometimes turn into long-term fans. By incentivizing people to sign up to an email newsletter, for example, you “capture” more leads rather than let them slip away as soon as they click back. Email marketing can boost the performance of your website in other ways as well. For example, consider how powerful it can be to have an email marketing list the size of 1,000 members when you send out a new offer. Even a low conversion rate of 0.5% means that you’ll see some activity and potential sales very quickly. The more impactful your marketing message is, the higher the conversion rate will be. The more powerful your web presence is, the more you’ll capture leads for future marketing efforts. Add it all up and you have one very powerful reason to do email marketing: it’s a fast way to boost your web presence. If you do a lot of marketing tactics every month, you might be surprised to find out just how easy it can be to send out occasional emails. Once your email marketing “optin” is set up on your website, all you have to do is schedule the occasional email blast. You can even outsource this work to a freelance writer experienced in crafting emails, making the entire process completely hands-off. Meanwhile, the people and potential clients who have signed up to your email list are receiving regular updates that provide real value to their lives. In many cases, these email blasts can help answer questions they have about buying a home, refinancing, reverse mortgages, insurance, taxes, etc. Handling emails yourself doesn’t have to take up large swaths of your time, either. Simply taking the time to brainstorm the next month in email blasts—even if it’s just one email every few weeks or so—can be done in one sitting. The result is low-maintenance email marketing that keeps your loan services fresh in potential clients’ minds. You can always have “featured” referral partners pitching in articles, quotes, and other value-added content, which works well for everyone. An email blast that includes a survey can provide invaluable feedback for the services you provide. You can even use the information that users volunteer to get a better sense of who your potential clients are and what their main concerns might be. This doesn’t only let you tailor your loan services to them, but will give you more insights into your market—which in turn makes you better as a loan officer. Finally, measuring the success of your email marketing blasts is a great way to practice your content and your skills as a marketer. Email blasts can give you real-time results. You send out the email and watch the conversions roll in. If they don’t come in, you’ll at least have a better idea of what it is that your potential clients are looking for. If you’re interested in enhancing your web presence as a loan officer but already have a strong website, then email marketing may be the perfect next step for you. 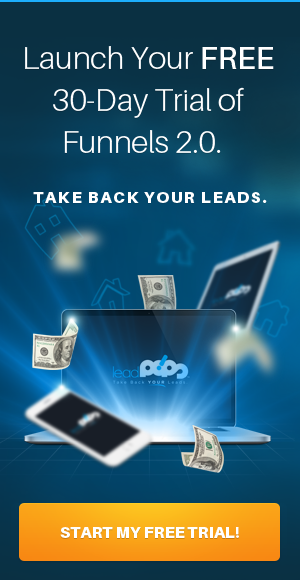 leadPops offers a powerful email marketing solution called Email Fire. It comes bundled-in at no extra charge with every Funnels account, allowing you to set up drips, autoresponders, newsletter, and blasts, with full tracking capabilities so you know what’s working. 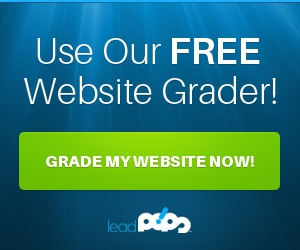 Sign up for a free trial of leadPops – chances are we can help you close more loans, quickly.